I have finally started the rebuild of my 1968 CZ side piper 250cc. I Have had the forks rechromed and about to rebuild them. 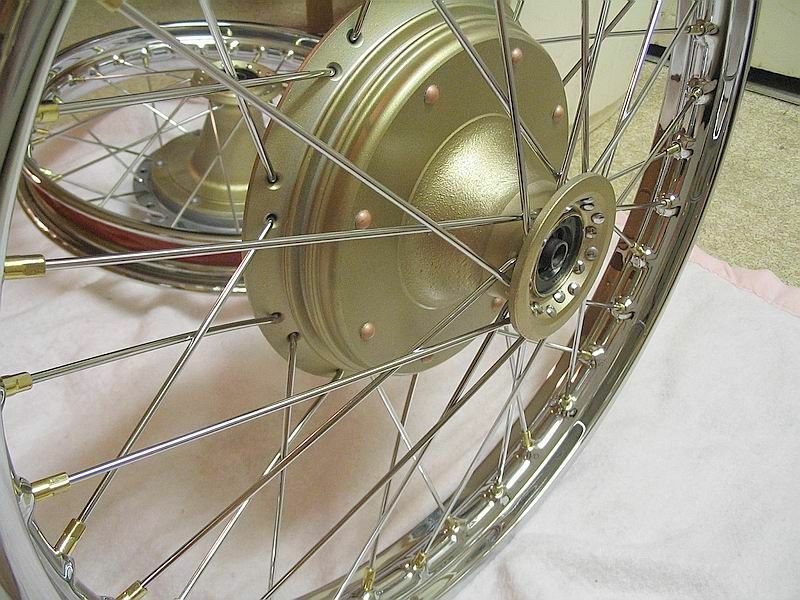 The next job is the wheels so I need to know what the original gold colour is for the Hubs. 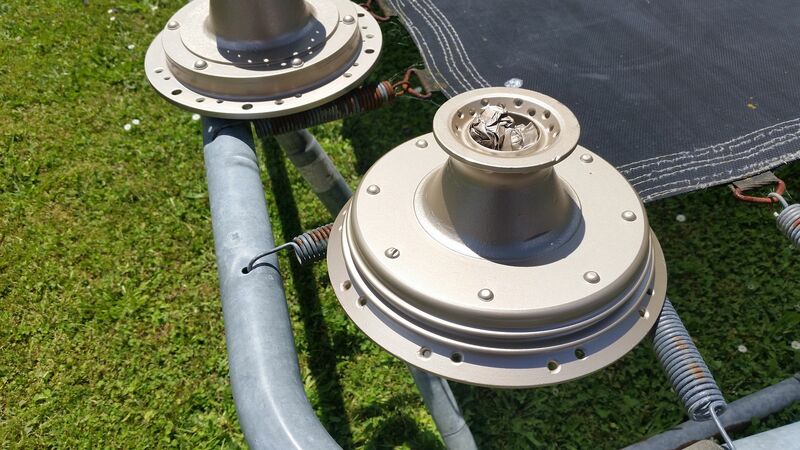 I hate it when they are just painted or powder coated gold and it looks nothing like the original colour. I can't be the first to do this job so what did you blokes use. The original colour is from a dichromate dip just after casting, there is a guy in the states who has done it but to be honest it looked quite dull & plain. The colour on second photo looks to be the ducks guts. I know very little about the CZ suppliers at the moment, only maybe Les at VMX Unlimited. Is this paint something that is available to buy from Lee Holth or is it something that I will have to try to blend myself and hope to get it close to the colour pictured. 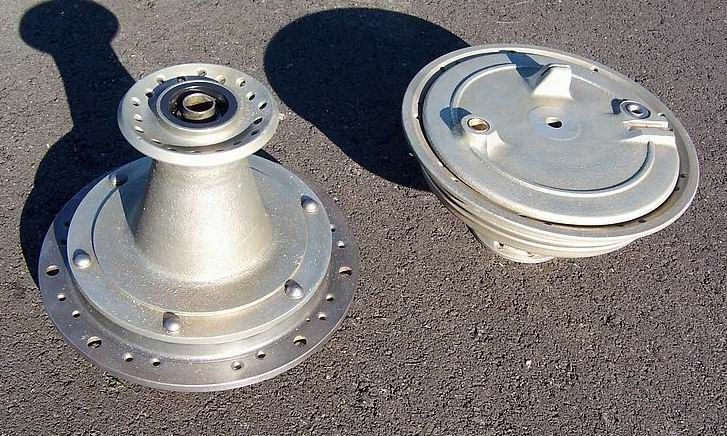 I think that is the finish he provides on hubs he restores for people, not sure if he sells it. who is lee holth where does he come from, would like his contact details. He's been building and riding CZs since the 70's.Got his own website Lee Holths CZ World which I think is still running.Usually has some bikes/parts for sale on the vintage us mx site including sidepipe rear hubs.I have an email adress for him at home which I can get to you later today. 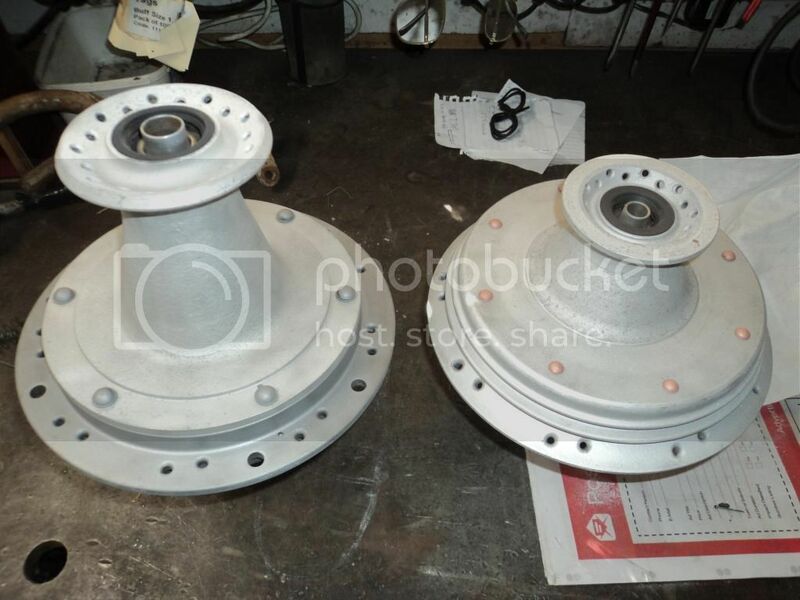 About to start on the wheels, has anyone blasted the CZ hubs? Are there any problems with the magnesium that I should know about before I start. 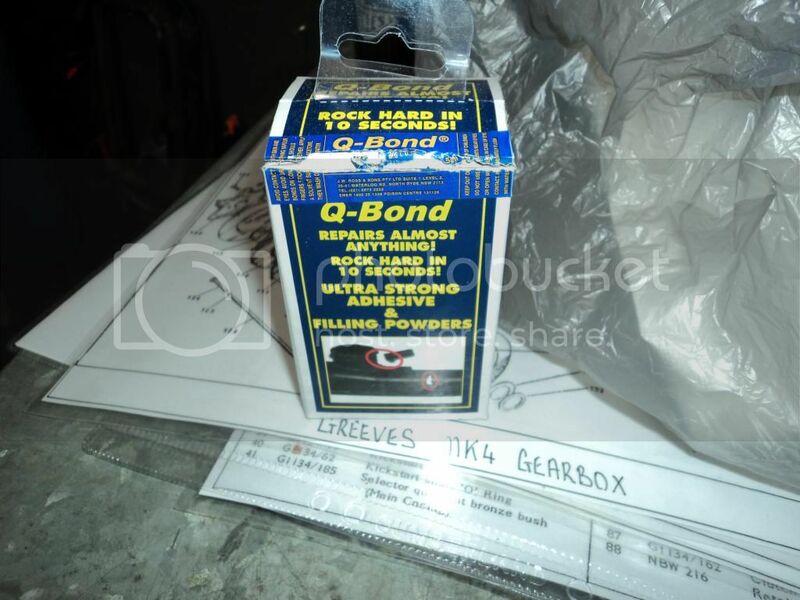 Blasted the hubs today and did a couple of small cosmetic repairs using (Q Bond) have any of you blokes used it? Looks to be a usefull product just a drop of what appears to be Super Glue then sprinkle the powder over it sets rock hard in seconds, then file it to shape. How did your hubs come out Zane? Well the rims are finally done. I'm happy with the final colour but wanted a matte finish with the clear but that didn't happen so I will live with the gloss. I tried to match Lee Holth's colour and I think it's pretty close. They are not polished yet, just laced and the photos taken so I reckon they will come up even better. I have a new photo host, so lets hope that I can work out the process and can attach the photos, if not someone might allow me to email them the photos and then put them on here. Fingers crossed. Sorry Tony, I can see them but only after I enter my Google Photos password. I hate bloody Photo Bucket, everything was great until the greedy bastards decided to rip us all off, now I will try to find another host that actually does what I want it to do. I am quite happy with the hub colour and have kept the formula so if anyone wants to use it there won't be a problem matching it. If your interested PM me an email address and I will shoot them to you, or if anyone can post photos on here I will email them to you as well.